Gregory A. Poplyk's costumes are the first I have seen that come anywhere near the visual wallop of Cecil Beaton's classic originals. His designs for the hilarious "Ascot Gavotte" sequence are a visual triumph. 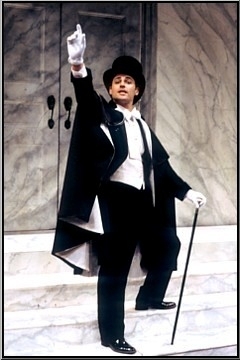 Eliza's all-important ball gown is an Edwardian fantasia of white satin and draped rhinestones, and I found myself wondering how I could get my hands on Higgins' handsome wardrobe. Gregory A. Poplyk's togs -- with an elegant nod to Cecil Beaton -- are stunning, especially on that pivotal afternoon at Ascot. 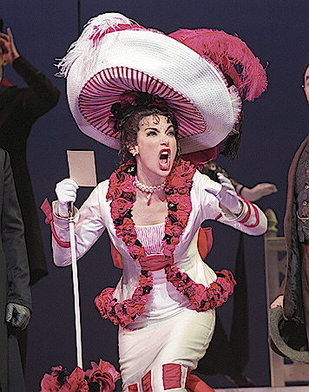 Gregory Poplyk's costumes are especially fabulous for the showy Ascot sequence, where the hats alone are like an explosion in the sweet shoppe of a genius baker. 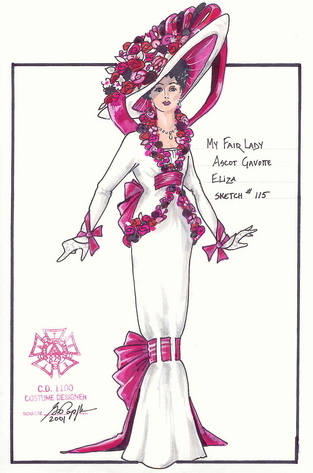 Costume design for Glory Crampton as Eliza Doolitle at the Ascot Races. Costume built at Carelli Costume. 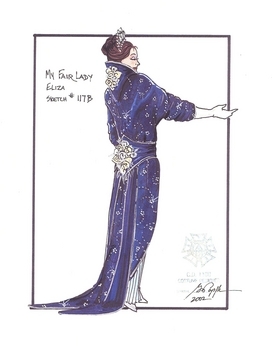 Costume desgin for Patricia Dell as Mrs. Eynsfordhill. Costume built by Carelli Costume. The Ascot Gavotte at the Paper Mill Playhouse. 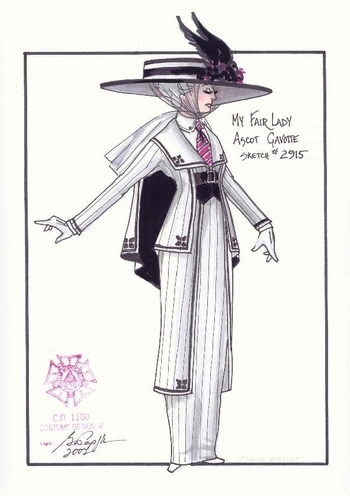 Ascot Gavotte costume designed for Autumn Weidman. Costume built by Carelli Costume. Max Von Essen as Freddy Eynseford-Hill. 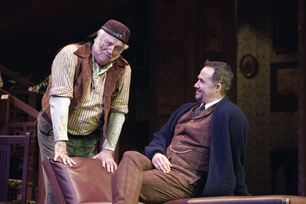 Ed Dixon as Doolittle and Paul Schoeffler as Henry Higgins. 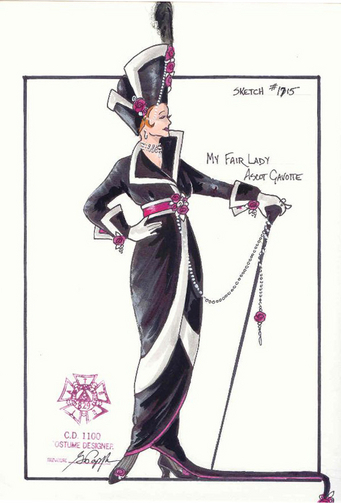 Costume design for Natalie Ryder for the Embassy Ball. Costume built by Carelli Costumes. Costume sketch for Ms. 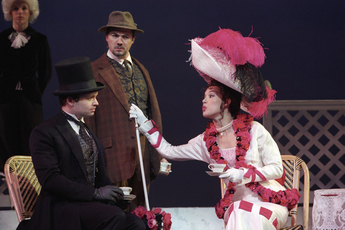 Glory Crampton as Eliza Doolittle. Costume built by Carelli Costume. Glory Crampton as Eliza Doolitle. Paul Schoeffler & Glory Crampton as Higgins and Eliza. 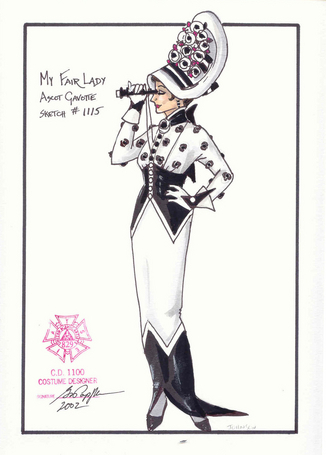 Ascot gavotte costume design for Cara Johnson. Costume built by Carelli Costumes. 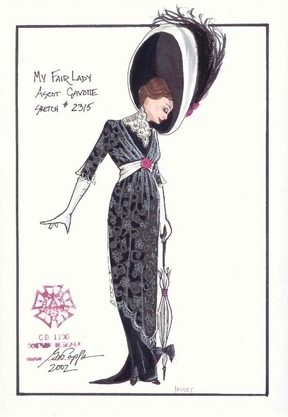 Ascot Gavotte costume designed for Jean Marie. Costume built by Carelli Costume. 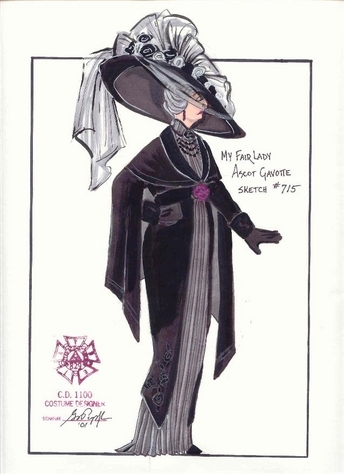 Costume design for Connie Pearson for the Ascot Gavotte. Costume built by Carelli Costume. 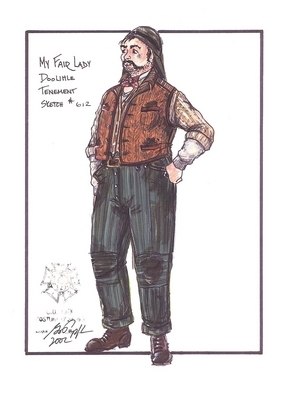 Costume sketch for Mr. Ed Dixon as Doolitle. 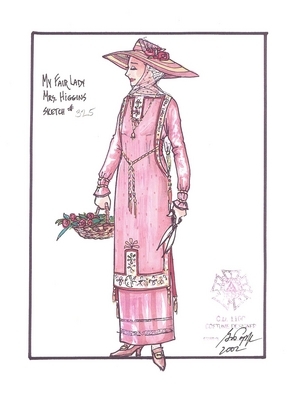 Costume sketch for Phyllis Sommerville as Mrs. Higgins. 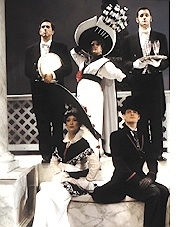 Costume built bu Celeste Livingston New York.